Fira is not just the capital of Santorini, but one of the best places tourists must see and prefer due to how central it is to everything else on the island. 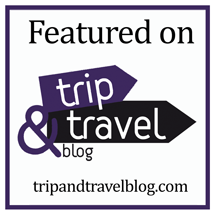 Apart from prehistoric artifacts and rich cultural history, they also offer the very best in hospitality and fun. If you’re lodging here on your holiday, here are the best hotels we recommend. Everyone wants to be treated like royalty and celebrity, and that’s exactly what De Sol Hotel & Spa has to offer visitors. There are so many reasons why this hotel is regarded as one of the best which includes a swimming pool, satellite TV in every room, airport shuttle, and free parking. Another solid reason that makes this place excellent for all types of visitors is the in-house restaurant serving local wines and Mediterranean dishes. You should also know that depending on how you’re planning to get here, De Sol Hotel & Spa is quite close to the seaport and airport. To ensure that customers get the best service and relaxation, the hotel has hired top quality house cleaners that ensure the rooms are kept clean every single day. As for the spa, you’re provided the opportunity to enjoy on-site spa facilities and treatment beyond your wildest imagination. 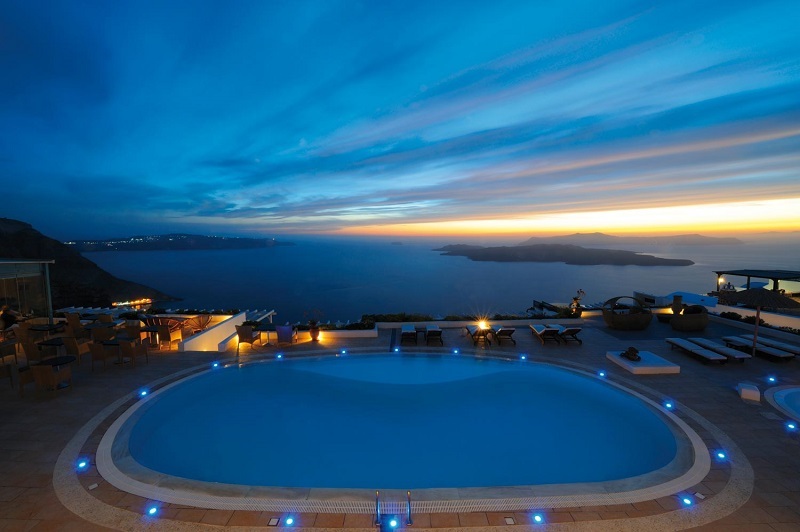 Here is yet another high-quality hotel in Fira offering the best of Greek hospitality. There are so many reasons why you need to be here. Aigialos offers an amazing view of the Aegean Sea from the windows of your hotel room. It also has so many quality facilities like swimming pool, restaurant, bar, and room service. Many visitors have also suggested this is one of the best options for a couple on a holiday or honeymoon, because of the quiet location. 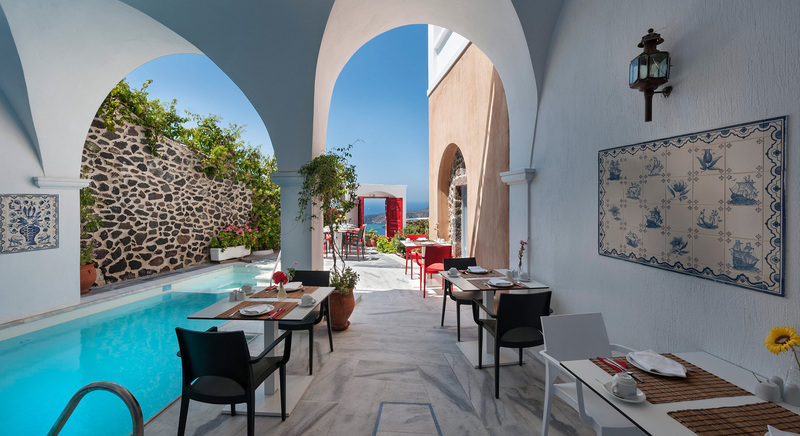 Aigialos Niche Residences & Suites is designed in Cycladic architecture with beautiful furniture and a clean and inviting environment. 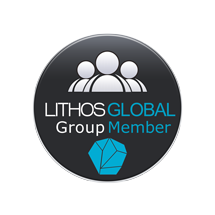 Very few hotels in Fira have the kind of customer commitment that Lilium Santorini Villa is known for. At first sight, you’re bound to completely surrender yourself to the beauty and glamour of the hotel, which cannot be ignored. You’re going to be sleeping in rooms overlooking the Aegean Sea, swimming in pools with hydromassage facility, and living the life of a prince and princess on a Greek island. Lilium has a hotel chef who is just incredibly good. From the chef’s restaurant comes creative Mediterranean dishes carefully prepared with natural ingredients. You’ll also be served all kinds of exotic cocktails while you relax by the poolside. 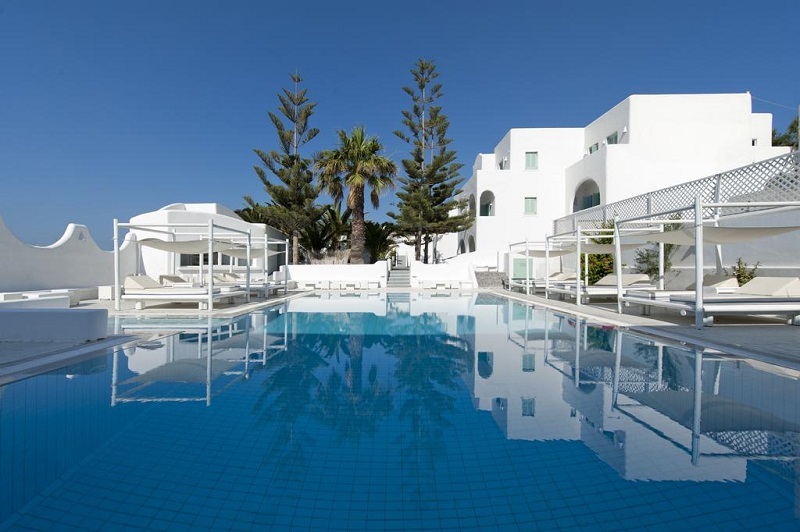 Comfortable and spacious rooms make Daedalus Hotel one of the best places for you to stay in Fira. They also offer other high-quality facilities like a fresh-water pool where you can rent sun beds and umbrellas. From the pool bar, you can order the very best of refreshments and beverages. 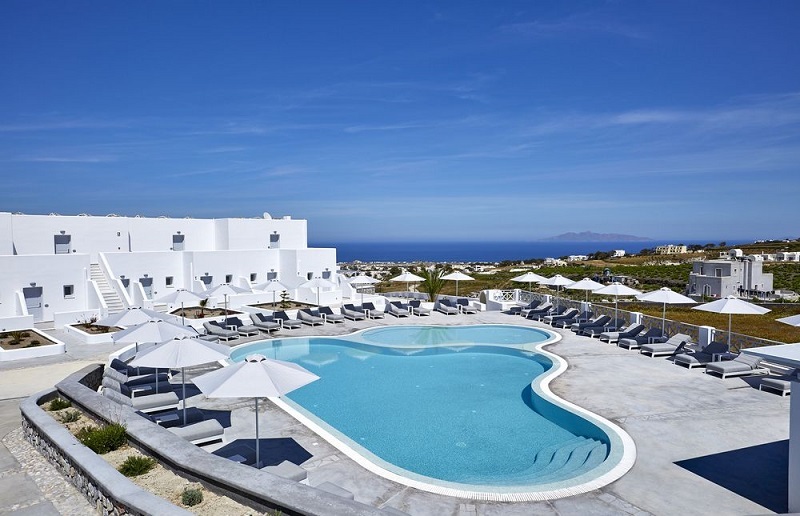 Another reason why you should choose this hotel is because of its closeness to the best fun spots in Fira. Outside the hotel is a bus stop with taxis where you can rent a car and explore the beauty, culture, and lifestyle of the people.